of each woman throughout all the stages of life. Dr. Jones brings to Prima Bella Women’s Health 20+ years’ experience serving the obstetric, gynecologic and infertility needs of women in her hometown. and an expectant mom joyfully anticipating natural childbirth. and how a mature woman adjusts to the changes life brings by making positive lifestyle choices to ensure a healthy retirement. Dr. Jones is passionate about women’s health and wants to help you, no matter what YOUR stage in life. Please call for a private appointment to discuss your concerns. Lisa is a wife and mother of 4 beautiful children and 6 wonderful grandchildren. Lisa’s children have really given her unique perspectives on birth and parenting and grounded her in reality! She attended Nursing School at Indiana University and graduate school at University of Illinois at Chicago. Lisa continued to attend school and work while pregnant, breastfeeding and with small children, with a lot of help from her husband and family. She learned in the trenches how difficult juggling work, school, personal and family life can be. Lisa has partnered with women and their families for over 30 years as a Childbirth Educator, Labor & Delivery Nurse, Lactation Consultant and as a Nurse-Midwife. Even after so many years, she feels privileged to share in the miracle of birth and witness such a special moment. Lisa is always amazed at the inner strength that women often find in the birth process. When Lisa is not at work, she enjoys spending time with her family. Lisa and her family especially enjoy outdoor activities together such as camping, biking, white water rafting and kayaking, and hiking. Alisa is no stranger to hard work and dedication. As a wife to Kyle and mother of three handsome boys, along with working full time and going to school, she has mastered the art of juggling anything life throws her way. Alisa joins the practice with 6 years of experience as an RN, 3 of those being in Labor & Delivery and Postpartum. She earned her bachelor’s degree in Biology at Taylor University. Shortly after, she pursued her love of nursing and enrolled at Indiana Wesleyan University where she earned a second Bachelor’s Degree in Nursing. Most recently she completed her Master’s Degree at Frontier Nursing University, the oldest midwifery school in the United States. 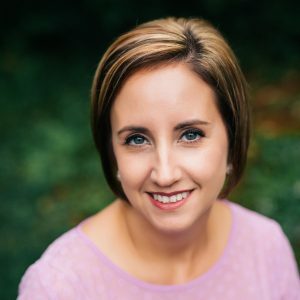 Alisa is excited to connect with women throughout their lifespans- ¬pregnancy, childbirth, well-woman and other needs. She desires to help all women have the labor and birth they desire and fits their needs. When Alisa is not working, she enjoys reading, running, and spending time outdoors with her family. Jessica is a compassionate and motivated certified nurse-midwife dedicated to her patients and their health. She is a wife and mother to three children, who inspired her passion for childbirth long before entering the healthcare field. She is committed to evidence-based practices and providing women with the best possible care from puberty to menopause and beyond. Jessica embarked on her journey into the field of nursing in 2001. She received her bachelor of science in nursing from Purdue University and her master’s degree in nurse-midwifery from Frontier Nursing University in 2016. She believes in life-long learning, and brings 15 years labor and delivery experience with her as she practices the art of midwifery. When Jessica is not working, she enjoys spending time with her family, reading, watching her son play baseball, and traveling to tropical destinations.